We offer 3 flexible ways to receive study material designed to fit around your lifestyle; Online, USB or Correspondence (paper form). The choice is yours. All three methods are tried and tested. You choose the method that best suits your circumstances and that you feel most comfortable with. The course material is the same regardless of the mode of delivery you choose. All methods allow students to have unlimited access to their personal tutor. Online students require a reliable internet connection. 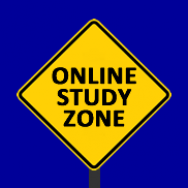 Our Student Study Zone allows you to view all of your course material online, anywhere in the world. Students can watch videos, read notes and study illustrations on the computer screen then complete self assessment quizzes to gauge their learning. Assignment submission and Self Tests are also completed online. When you enrol and payment has been received, access to the course material is available within 24 hours. You can also download and print the online course content and create your own personal file similar to a correspondence course. In this way you avoid paying the extra cost required should you choose the course material by correspondence. What ever method of learning you decide, the courses are all portable. USB's are an excellent choice for people who have a computer but do not have internet access or have a slow connection. Your course material and interactive Self-Tests are mailed to you on a preloaded USB. You may also print the lessons/assignments and create your own personal printed folder of your choice. Online Access is also available. 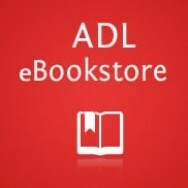 Assignments are submitted through the ADL Online Study Zone or through the post or by email. 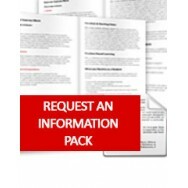 Course material may be supplied in a printed format. Students work through notes, practical tasks and assignments. The student is guided by a printed study guide and accompanying materials, as well as receiving advice and feedback from tutors. Assignments are submitted to tutors for grading and feedback, and exams can be taken anywhere in the world. Assignment submissions can be posted or emailed to us and are submitted to your tutor for grading and feedback. Correspondence students also have online access (available for all students) to the course lessons.